Oh Quirk Books, you’ve done it again. This publishing company is known for many things, but most importantly Pride and Prejudice and Zombies. 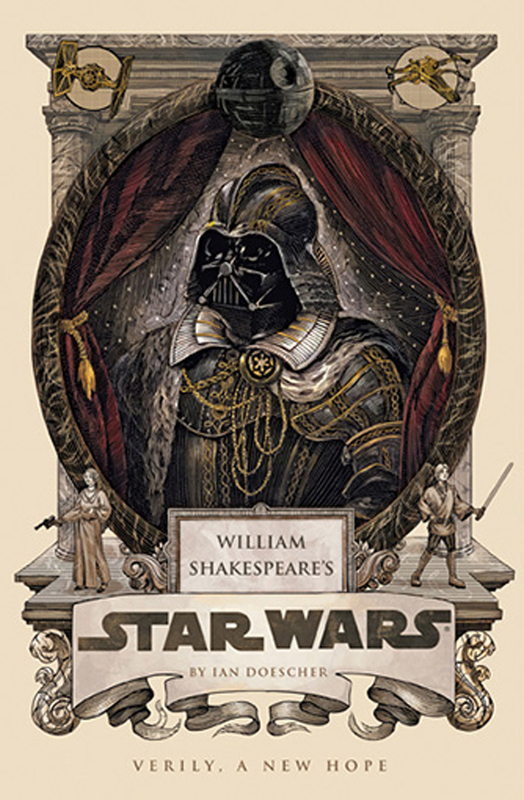 In their latest installment of parody literature, the great bard himself takes over the greatest saga: William Shakespeare’s Star Wars: Verily, A New Hope. This book is the center of the venn diagram of English literature majors and science fiction fans. This is a book you didn’t know you needed in your life. Anyone familiar with the Star Wars franchise, knows the story of a New Hope, but they haven’t read it in iambic pentameter before. And before there’s a backlash, this novel/play is fully licensed by Lucasfilms. 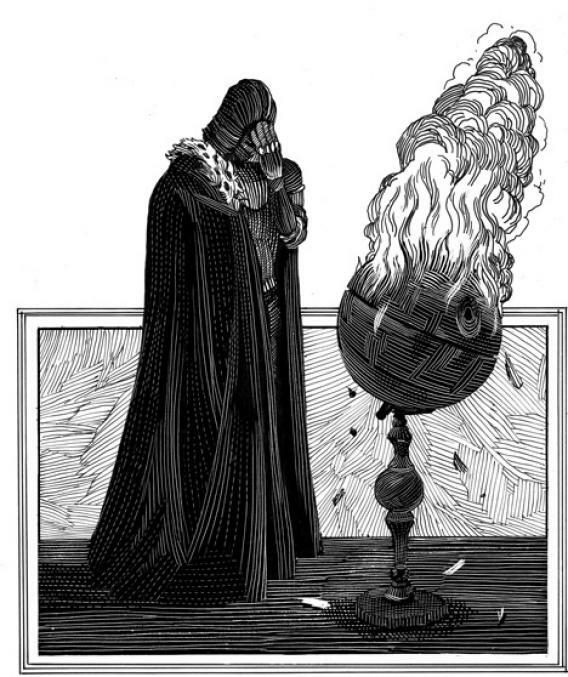 We have Obi-Wan, Luke, and the rest of the cast speaking in poetry that one didn’t know existed. But this isn’t perfect. Perhaps one of the more disturbing pieces of this book is the creative liberty taken with R2-D2. We find out quite early on that our lovable droid can speak more than just his “beep beep boops.” “Around both humans and the droids I must/Be seen to make such errant beeps and squeaks/That they shall think me simple.” This does take the reader out of the book’s world with this addition to the plot. It is as if the author needed to explain Star Wars: A New Hope to people who were unfamiliar with the plot. R2-D2 speaking in ways the reader understands also serves another (failed) purpose: to advance the plot and explain the actions on the page. Instead of stage directions, we have the characters, in asides spoken to the audience, explain the action in each particular scene. Or we have a “Chorus,” like in the Greek plays, explaining that our heroes are moving from one planet to another, in outer space. A play, even a parody of a play, should make use of stage directions. After all, this is a visual medium. Regardless of all this book’s many faults, it is entertaining. There are parts where one will smile and perhaps laugh out loud at the corny-ness. It’s a kitschy novelty book geared more for the Star Wars fan than the English major. Come the holiday season, it will make a great gift for the geek in one’s life. But do wait for the paperback, spending money on the hardcover isn’t worth it.